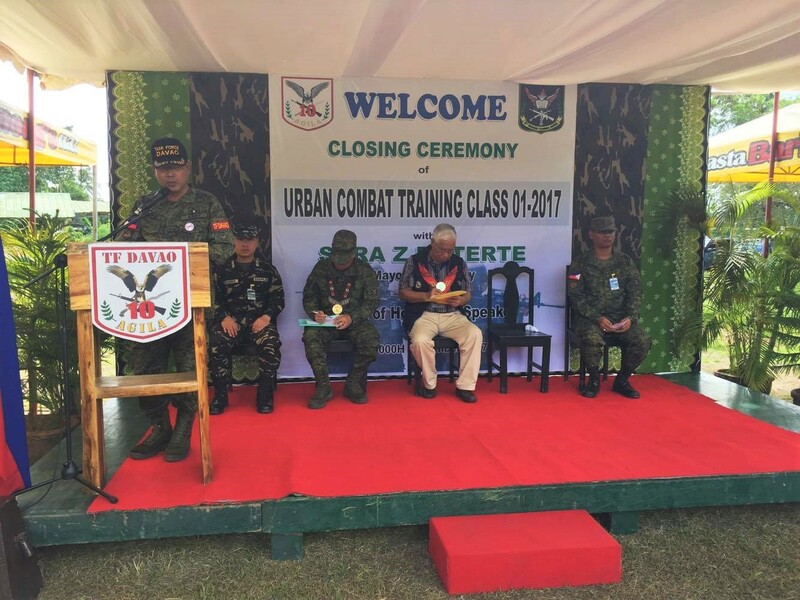 NSFA, Panacan, Davao City - The Urban Combat Training of TF Davao was formally concluded in a closing ceremony on November 14, 2017 10: 00AM at Team Davao Firing Range, Diversion Road, Maa, Davao City. 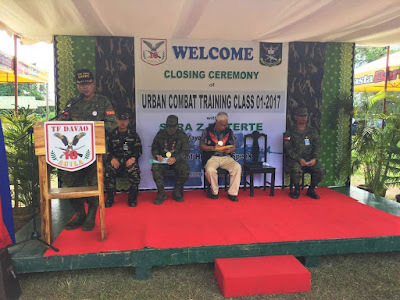 The training which participated in by 43 personnel compose of two Officers and 41 Enlisted Personnel was aimed at enhancing the skills of the participating personnel in anti-terrorism operation and in carrying out the mandate of urban security. The Closing Ceremony was graced by Antonio Boquiren of Davao City Public Safety and Security Command Center who represented the City Mayor Hon. Inday Sara Duterte-Carpio. He was received and accompanied by Commander TF Davao Col. Nolasco Mempin. 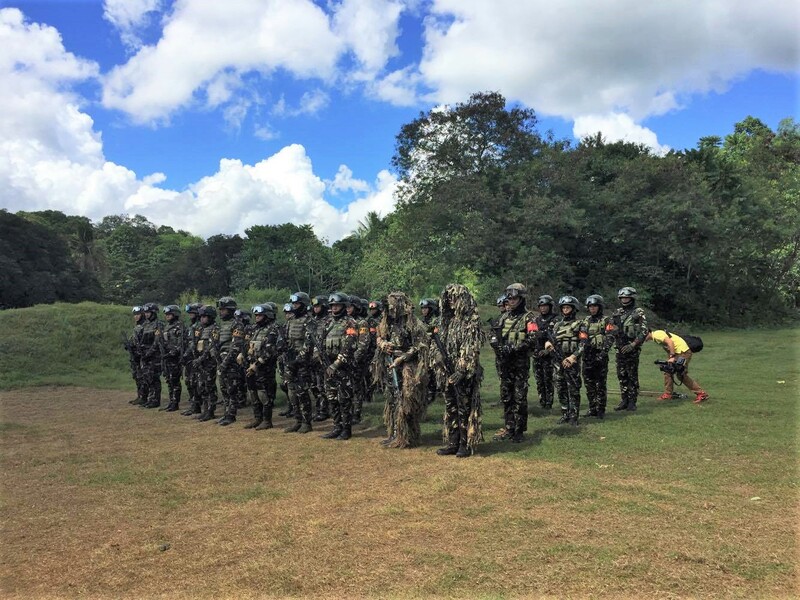 BGen Benvienido R Datuin Jr. AFP, Assistant Division Commander, 10ID, PA likewise represented and conveyed the message of MGen Noel S Clement AFP, Commander 10ID/Commander Joint Task Force Haribon, EMC, AFP.